His immense dedication to the art industry was recognised in 1993 with a special business award acknowledging his outstanding contribution to the art & framing industry. From 1997 – 1999 Ian was voted master of the Fine Art Trade Guild in recognition of his achievements. The Wildgoose Gallery overlooks the impressive Fairburn Ings Nature Reserve where visitors can spend the day observing the large variety of birds and also explore the network of nature trails. Whether you are looking for a gift for someone special or simply wish to treat yourself, we have 6 showrooms exhibiting a wide variety of styles and subjects to suit all tastes. Build your fine art collection here and invest in paintings with intrinsic value and longevity and the pleasure they will bring you over the years will more than guarantee your investment in them. And for those who cannot make the journey, we are happy to ship throughout the U.K and overseas with prompt next day delivery. Bespoke picture framing is also undertaken on the premises featuring a selection of veneered and precious metal mouldings, with expertise on hand to consult and advise. 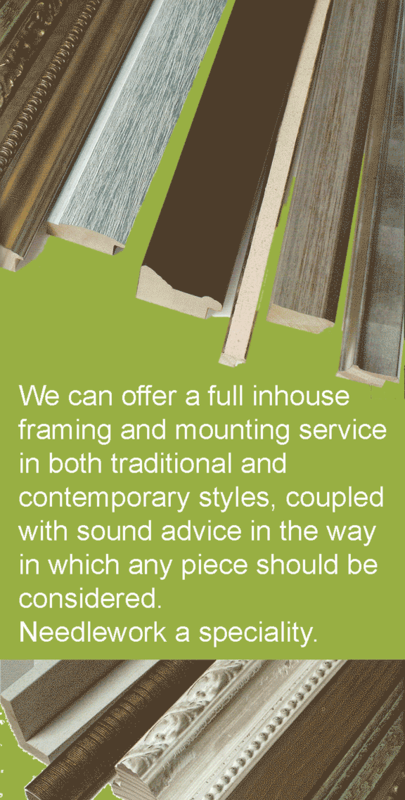 Our range of mounts and mouldings offers a diverse selection to best enhance your artwork. The gallery has FREE PARKING directly outside the premises.